At a 5 minutes distance from the Paulista Avenue, Did’s Hostel worries not only about making the environment a second house for its guests, but also making it in a modern fashion, with a cool decor. The deck has the typical bar tables from São Paulo, the reception mixes the modern prints in their chairs with a vintage wall clock. Creativity is absolute in the choice of names for the rooms: Cheech and Chong, for two people; Muppets and Goonies, for eight; and Little Rascals for twelve people. Besides all that, the website is very informative and has a chat with attentive service in English, Spanish and Portuguese. LimeTime Hostel is proud to be the most sociable hostel of São Paulo. Focused on providing guests with a pleasant and unforgettable trip beginning the stay, the LimeTime offers happy hours every night,in which one caipirinha is offered for free to guests and the Internet is turned off, valuing human interaction and new friendships. There is also the CaipiTuesdays: on Tuesdays, two hours of free caipirinhas are offered to cheer up everyone. 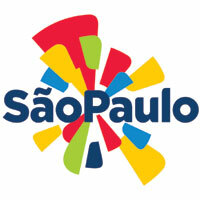 On the East region, next to subway stations Tatuapé, Bresser Mooca and Belém, is located the Hostel Jardim São Paulo. To further promote cultural exchange among tourists, the Hostel offers a shelf for books exchange and a garden with barbecue for moments of integration. The decor has a lot of graffiti, pictures and even skateboards on the walls, making the environment colorful and relaxed. In no. 607 of Rua João Moura, in Pinheiros, a blue house with red windows draws attention. Is Guest Hostel, a hotel which also houses a Peruvian restaurant in its facilities. The hostel also has a colorful and fun decor in the rooms and offers, in addition to the basic services, reservations for shows, rental of bikes, city tours and harmonized dinners. Gathering in one place a bar, a coffee shop and a hostel, Ô de casa receives up to forty guests in private and collectives rooms in Vila Madalena. With a house illuminated and full of plants, the service will make guests feel in a typical house in São Paulo, with açaí, caipirinha and awesome sandwiches of the BarÔ. The hostel valorizes its neighborhood, and promotes the PasseiÔ, a project for guests and non-guests to meet the urban art that fills the streets of Vila Madalena. With 94% of approval rating on Trip Advisor, the Telstar Hostel is located in the quiet Vila Mariana. However, the tranquility of the neighborhood is compensated by the parties that the hostel promotes, which count even with presentation of bands. The decor is inspired by futuristic elements, with paintings on the walls of robots and aliens. The rest areas are: the living room with comfortable sofas, outdoor area with a pool and a cultural space. Next to the main points of entry in São Paulo (Tietê Bus Station and Guarulhos Airport), the Anhembi Hostel offers not only the convenience of location, but also a family environment with clean and modern decor, with a touch of the artist Naia Cesquin. Social environments include a pool table, TV room, outdoor area and a bar that promotes fun happy hours, with interactions between guests and backpackers. Know more hostels in São Paulo by clicking here.